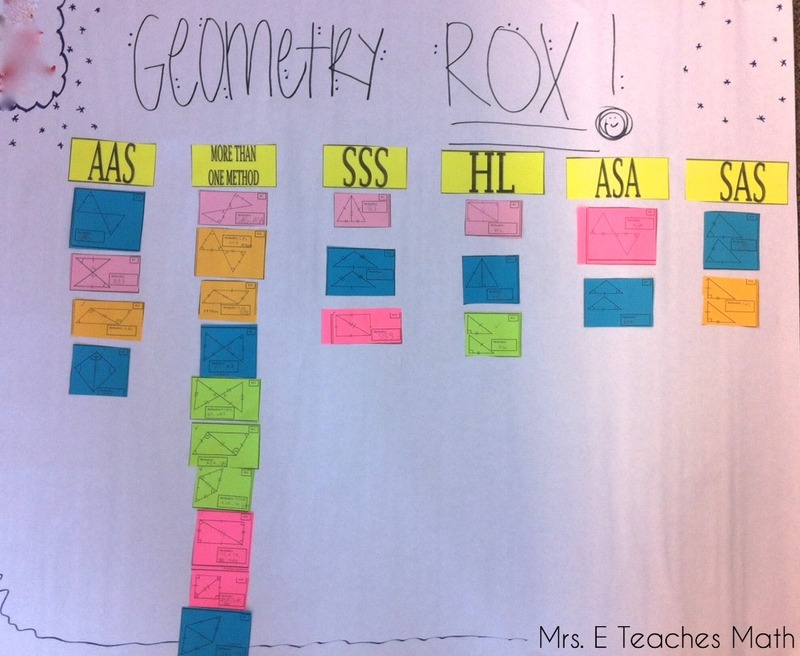 I did a quick, fun activity with my Geometry kids the other day! 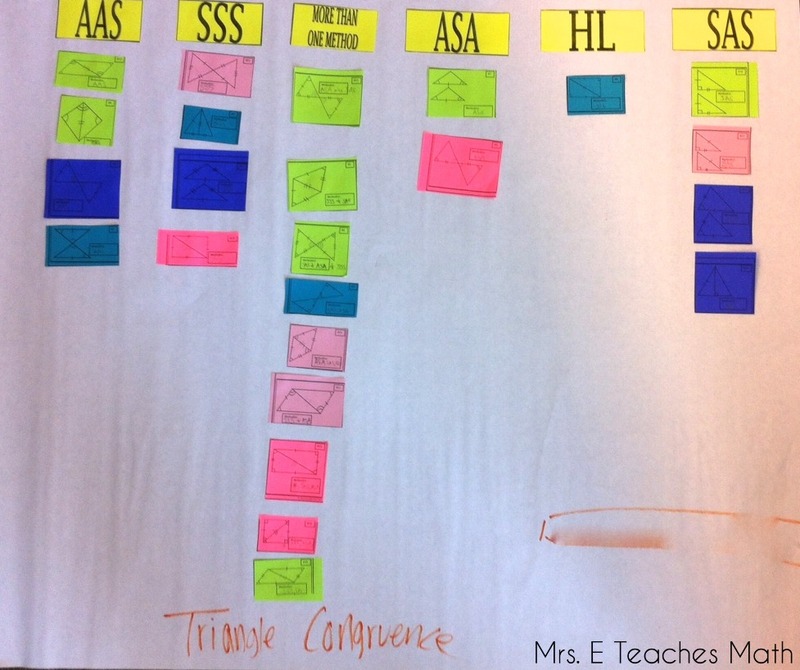 One of my friends, Secondary Math Shop knows I'm LOVING cut and paste activities right now. 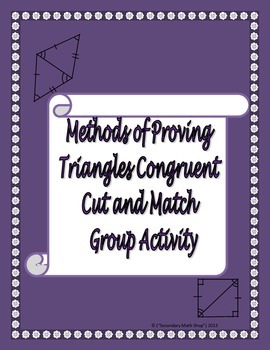 She gave me her “Methods of Proving Triangles Congruent Cut and Match Group Activity” to try with my classes. We had talked about SSS, SAS, and ASA the day before. In class, we talked about SAA and HL and talked about why SSA and AAA don’t work. 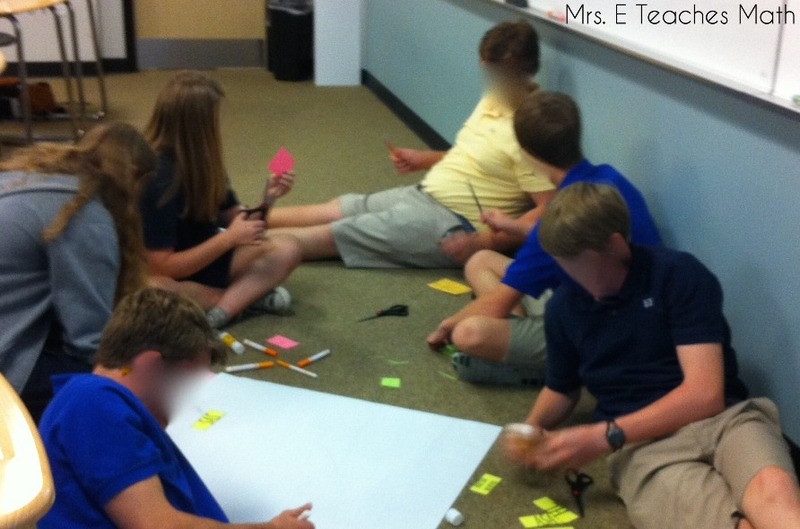 Then, I split them into groups and gave them this activity. The actual size of the pieces are bigger, but I copied them two pages to one page. I didn’t want to use a ton of colored paper; the supply is getting low. 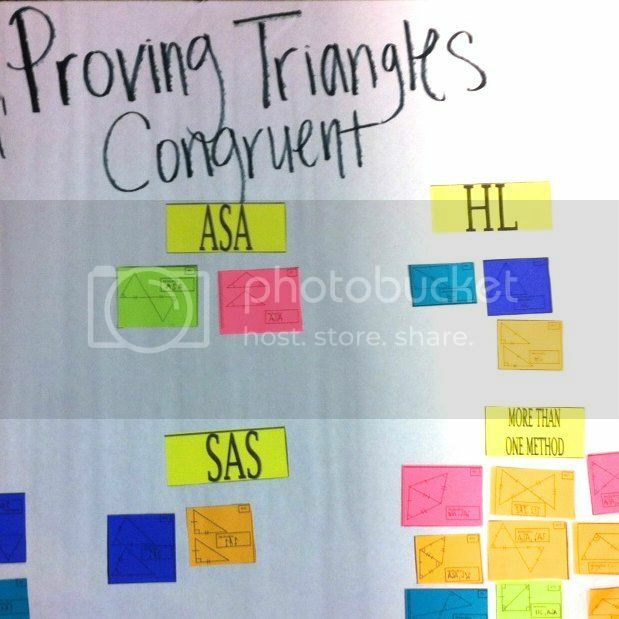 :) I had my kids glue the pieces onto the large anchor chart type paper (I call them giant non-sticky notes, but I don’t know what they’re really called). 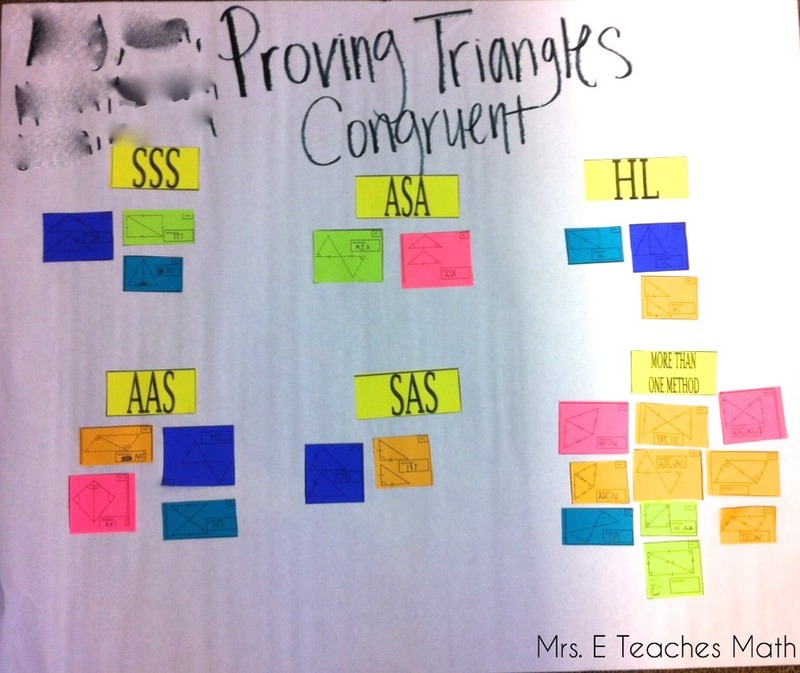 I had my kids mark the congruencies (vertical angles, shared sides, etc.) with a marker. Student 1: Hey, you glue these. Student 2: No, you do it. Student 1: I’ll be honest here, my strength is cutting. I glue like a Kindergardener, but I cut like a beast. Student 1: Then it’s gonna look like $h!7. You ok with that? I like the posters my kids made. I didn’t give them much time for decoration, but I think they turned out nice. My favorite part of this activity (besides the mathematical conversations) was the fact that there was a category for “More Than One Method”. How have I not thought of this before?! I actually changed their test so that a couple of the problems have more than more method and the students have to list each one. Love it! I love it and will tell our department chair to buy it for us! Another category to use would be "Not Congruent". A lot of my kids struggle with understanding what methods work and which ones do not.